A year into the Great War, Allied eyes were drawn to the Straits of the Dardanelles; a narrow strip of water effectively separating Europe from Asia Minor. 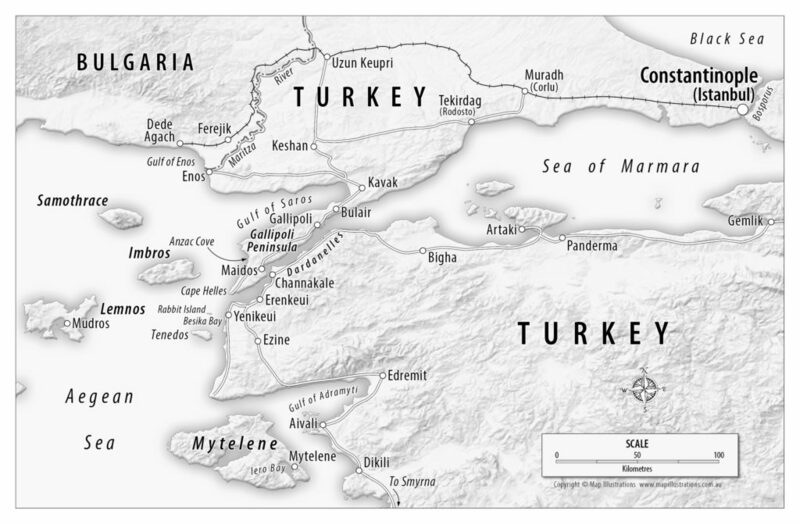 Securing the Dardanelles would open up Turkey as a reliable supply route and “…serve to secure Egypt, to induce Italy and the Balkan States to come in on our side, and … enable Russia to draw munitions from America and Western Europe, and to export her accumulated supplies of wheat”. The need to move essential food and munitions through Turkey resulted in the Gallipoli campaign. At 4:20am on 25 April 1915, the Australian and New Zealand Army Corps (ANZACs) planned to go ashore near Gaba Tepe (Kaba Tepe) on the Gallipoli Peninsula. A strong current sent them two miles north of their intended landing to an area now known as Anzac Cove, where cliff tops loom over a narrow strip of sand and the terrain acts as a natural fortress. The beach was only lightly defended but the activity below caught the attention of the Turkish soldiers and all hell broke loose. The battle for Gallipoli is a landmark moment in the histories of Australia and New Zealand. It was a terrible military defeat; thousands died, the strategy failed, and the objective was never reached. Yet despite, or perhaps because of, that defeat, the exploits of the ANZACs laid the foundations for the modern identities of two nations. A century on from that fateful event, the ANZACs, and the medical staff who tended them, were remembered in an exhibition at the Geoffrey Kaye Museum of Anaesthetic History in Melbourne, Australia. 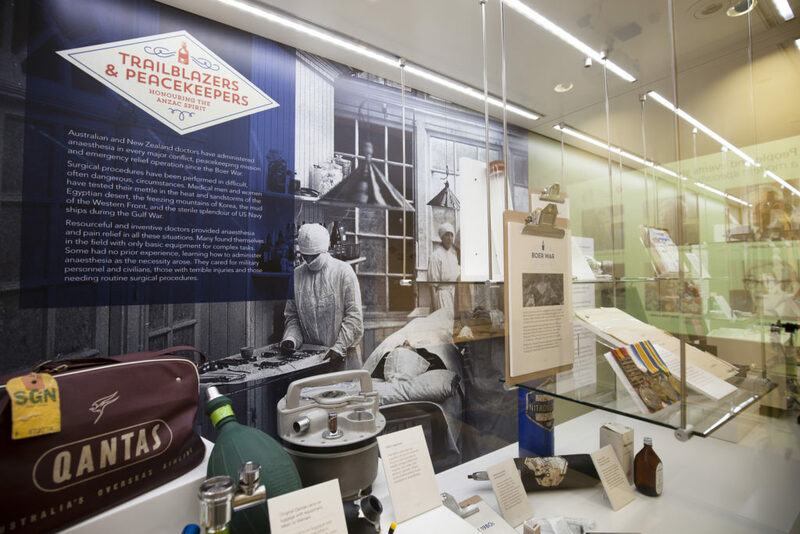 The exhibition, Trailblazers & Peacekeepers: Honouring the ANZAC Spirit, acknowledges the role of Australian and New Zealand doctors in administering anaesthesia and resuscitation over the last hundred years of military missions. The exhibition took place over three platforms. 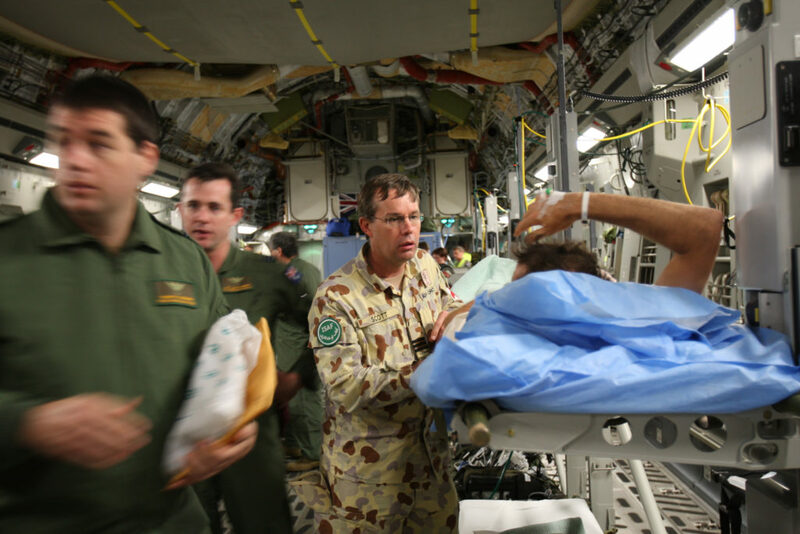 A physical exhibition highlighting the personal stories of doctors in combat, a companion book and an online exhibition that allowed for the presentation of more of these stories. In October 2016, the Geoffrey Kaye Museum of Anaesthetic History was awarded the David M Little Jnr Media Prize for audio visual media for the online version of Trailblazers & Peacekeepers. The prize is awarded annually by the Anesthesia History Association during the Chicago meeting of the American Society of Anesthesiologists. The David M Little Jnr Media Prize is awarded to the best original work published in English in the preceding year across three categories: books, journal articles and audio visual media. 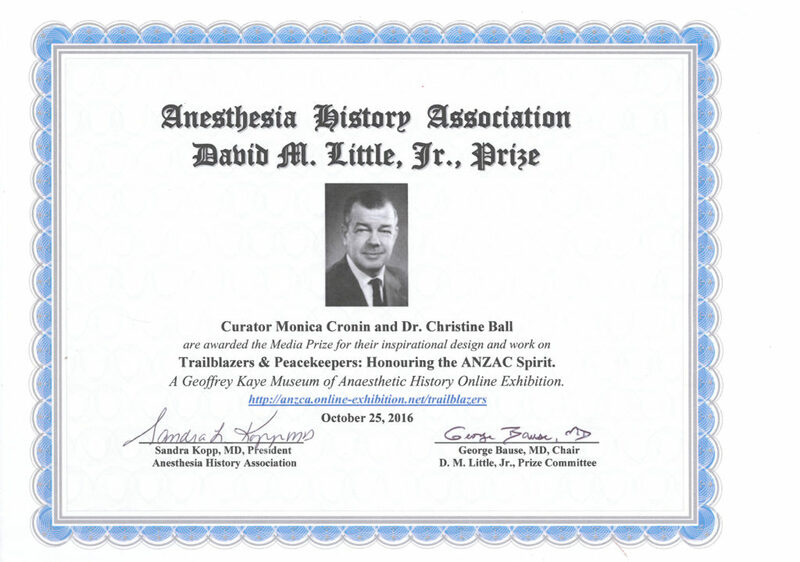 Dr David M Little Jnr was a long-time Chair of Anesthesia at Hartford Hospital in Connecticut and, for many years, wrote the “Classical File” series of history columns for the Survey of Anesthesiology. While the exhibition naturally looks to historical accounts of war, a highlight of the exhibition is the contributions made by current serving defence personnel and those drawn from living memory. They have offered personal glimpses into the difficulties, frustrations and rewards that come with experience in a conflict zone whether the situation is man-made, such as the Rwanda genocide, or natural disasters, such as the Boxing Day Tsunami. The online exhibition stretches from the Boer War through to more recent deployments such as Afghanistan, covering all major conflicts, along with a number of peacekeeping missions and emergency relief operations. Although well outside the usual scope for ANZAC commemoration, it was an opportunity to acknowledge the important work done in these areas by our colleagues. The project also highlighted the research challenges of working with World War I records. Anaesthesia was not a recognised specialisation at that time and there is no evidence on any of the service records to identify this as a core area of practice for the medical men who enlisted. The stories can still be found; they just require a more circuitous approach. The design work for the exhibition spans the three platforms. It is reminiscent of the art deco style which emerged after the First World War in art, architecture and fashion. 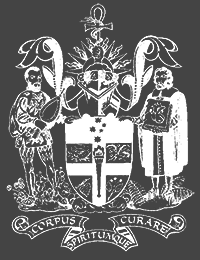 The overall design also allowed for the inclusion of personal photographs and images, supplied by the various contributors, the Australian Defence Force or sought from a range of public domain images. The museum is delighted to have won an award for the exhibition, and to have received a particular mention from the judges for “…clever and creative design and work”. However, the award is also an acknowledgement to the generosity of the men and women who allowed us to share their stories with a wider audience. The exhibition was launched at the Adelaide ASM in 2015. The physical exhibition is still on display at the Geoffrey Kaye Museum of Anaesthetic History.